Suffering from addiction can be difficult as it is, but what if you’re faced with a dual diagnosis? When a person struggles with both substance addiction and an underlying mental health issue, it adds a second layer of considerations to help bring a patient to full recovery. Although recovery may require a little extra work, anyone suffering from such co-occurring disorders can find a sober life outside the confines of depression. Dr. Shilati brings her 15 years of experience in addiction treatment and shares the five most important steps to help those in the dark finally see life in color again. 1. Be completely honest with yourself and your doctor. It’s very possible that you or your loved one may have fallen into addiction to self-medicate what could be clinical depression. However, be advised that only a medical professional can accurately provide such a diagnosis, at which point a special program can be designed to address the substance use and mood disorder together. 2. Ensure you get treatment from a quality rehab center. Treating depression along with addiction can be a bit tricky. That’s why Dr. Shilati suggests that as you scout for the right team to help you or your loved one, you should look at two important factors: a staff with proper credentials, experience and expertise, and the specific ways in which their program can meet the client’s unique needs. So, list the non-negotiable factors you’d like to see in a treatment facility, then strive to meet as many of these as possible. For example, Seasons in Malibu has all master’s degree level clinicians and boasts a 95 percent satisfaction rating for overall care. If these are things you require of your team, then this will help ensure you or your loved one will be as comfortable as possible during this time of change. 3. Get nurtured in nature. Humans generally crave a connection with nature. In fact, studies have found that the natural environment is essential to our general well-being and peace of mind. Dr. Shilati further corroborates this and admits that nature can play an instrumental role to addiction recovery. “A client’s ability to utilize the ocean, the mountains and fresh beach air, offers them an ability to self-soothe and recuperate,” she says. 4. Continue to seek healing after rehab. It is during this post-treatment transition stage when the really hard work begins. Aftercare programs are meant to help clients avoid falling into old behavior patterns once they leave the protected environment of the treatment center. “Ensuring that one has connected with their aftercare providers, identified strong community resources and engaged the family system for support is critical for long-term success,” she says. Will my living environment be safe? Who are the friends and family whom I can count on? Have I identified my support system/s? Have I mapped out my emergency plan in case I feel depressed or tempted to use? Will I have a job or do I have a realistic plan towards obtaining employment? What are the exact details of my aftercare treatment program and what arrangements can I make now to ensure I don’t fall through? If you or someone you know is seeking help from addiction, you may contact Seasons in Malibu for a free insurance check to see if this facility is the right one for you or your loved one. 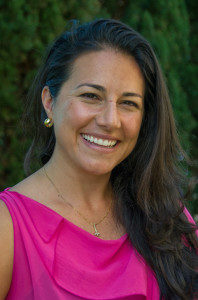 Sheila Shilati, Psy.D., is the “COO” of Seasons in Malibu, a CARF-accredited, dual diagnosis addiction treatment center that specializes in treating trauma, addiction, and mental health. As the COO of Seasons in Malibu, she has introduced new and advanced intervention models with compassionate care and an incredible staff. For more information about Dr. Shilati and the Seasons in Malibu team, click here.